The 2019 BMW Biathlon World Cup comes to Soldier Hollow Nordic Center in Midway, Utah from February 14 to 17, 2019. This is the first major international biathlon competition to be held at Soldier Hollow since the 2002 Olympic Winter Games. The event is spread over four days of competition with Sprint races on Thursday and Friday, double-header Pursuits on Saturday, and both a Single Mixed Relay and Mixed Relay on Sunday. The competition will feature new courses and an updated biathlon stadium layout. One of nine stops on the IBU World Cup tour, the 2019 Biathlon World Cup at Soldier Hollow will include approximately 28 nations and over 180 athletes. General Admission includes first come, first served access to bleachers as well as standing points around the trails. VIP tickets include reserved seating, food, and beverages. Biathlon combines cross-country skiing with marksmanship and has its roots in winter survival skills practiced in the forests of Scandinavia where people hunted on skis. A biathlon competition consists of a race in which contestants ski through a cross-country trail system whose total distance is divided into either two or four shooting rounds, half in prone position, the other half standing. For each shooting round, the biathlete must hit five targets and receives a penalty lap or time for each missed target. Biathlon made its Olympic debut in its current form in 1960. With a total cumulative TV viewership approaching one billion, biathlon is the most popular winter sport in Europe. The last and only Biathlon World Cup Solider Hollow hosted was in 2001 prior to the 2002 Olympic Winter Games. Approximately 28 nations and 180 athletes will be coming to Midway, Utah for the 2019 Biathlon World Cup. Join the team and volunteer! We have many volunteer opportunities for this event. If you are interested in volunteering, please contact Jennifer McCulloch (jmcculloch@uolf.org). Media interested in covering the event must register through the IBU media portal. Click here for the IBU media portal. The deadline to register for media accreditation is Feb. 1, 2019. Please also send your name, media outlet, type of credential needed and if you need a parking pass to Brennan Smith at bsmith@uolf.org. Utah has the most beautiful winter in the country and it’s time to get outside and revel in it! Enjoy live music, international foods, vendors, activities, beer garden, and more during the world cup competition. FREE admission for all Legacy Winter Fest attendees! AMP HP, Cowbells, Ski Utah, Visit Park City, Visit Salt Lake, Heber Valley Chamber, University of Utah Health, Kodiak Cakes, Jaybird, Salomon, Wishing Forest, Grey Eagle Silver. 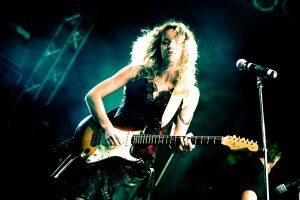 We’re excited to announce that talented blues guitarist and vocalist Ana Popovic is headlining our Legacy Winter Fest music lineup on Saturday! Sunday, Country Music duo The Swon Brothers, who earned recognition through NBC’s “The Voice” will headline the Legacy Winter Fest stage! To view and download the spectator map, click here. To view and download race start lists and results, click here. General admission to both the IBU World Cup Biathlon and Legacy Winter Festival concerts and activities are absolutely FREE for all ages. 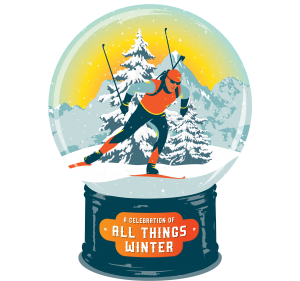 The event is located at Soldier Hollow Nordic Center at 2002 Soldier Hollow Lane, Midway, UT 84049. Parking is available in designated spectator parking lots. Arrive early if you plan to park. Keep in mind parking is first come first serve, we encourage carpooling. Food, beverages and souvenirs will be available to purchase. Chairs are allowed around Soldier Hollow and the event. If you’d like, bring a folding or camping chair. Outside food and drink is not permitted into the event. Knives, weapons, laser pointers, pets, outside alcohol, drugs and drones are prohibited. Please dress for the weather at Soldier Hollow. Biathlon is an outdoor sport and weather conditions may include snow and will include cold. Bring noise makers and dress up to cheer on the athletes! We’re bringing the atmosphere of a European biathlon to Soldier Hollow. We invite local schools to learn more about Biathlon and the countries from around the world that will be participating in this world-class competition. Every classroom that participates will receive free admission to the event and an opportunity for their projects to be on display at the event.